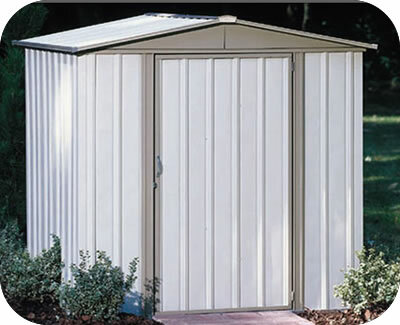 The 8x3 Suncast resin shed comes with a durable resin floor and lockable doors. 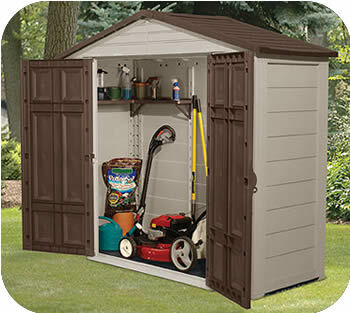 This is the ultimate garden shed for small areas! 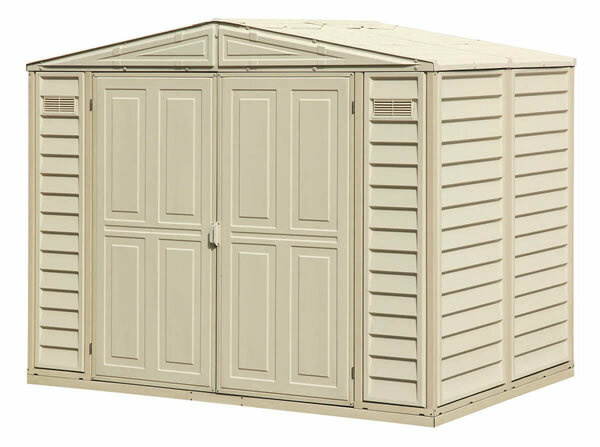 Our Suncast 8x3 resin storage shed is a perfect garden shed for small backyards. It's contemporary design beautifies any backyard while adding needed storage space for yard and garden tools in small spaces; perfect for apartments or condos with limited outdoor space! 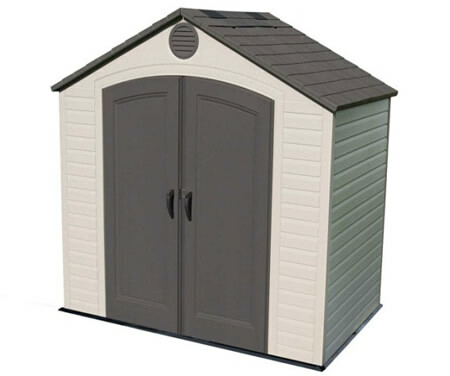 Made from durable resin plastic material, our Suncast storage sheds are maintenance free! 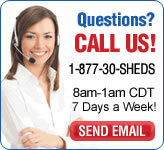 They will not rust, dent, rot, mildew or fade like common metal or wood sheds. 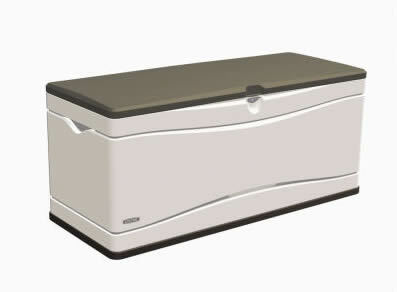 Doors are pad lockable to keep your stored items secured! Durable resin plastic floor included! Suncast Sheds Delivery Notice: To give our customers a chance to save even more money buying their new storage shed, we've made Lift Gate Service optional for Suncast Sheds. With lift gate service the delivery will be lowered from the back of the truck to the curb. 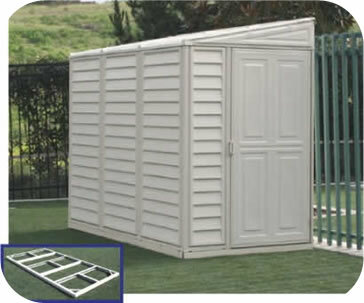 Without lift gate service the customer will be responsible to take delivery of their shed from the back of the truck. We recommend two people if not ordering lift gate.